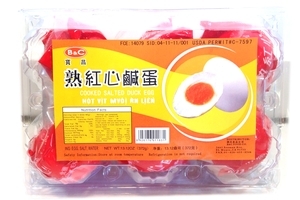 B&C Brand Cooked Salted Duck Egg (Hot Vit Myoi An Lien) in 13.12oz (372g) pack. Contains 6 eggs/pack. Product of China.